The 1985-1986 television season brought the world the Great Anthology War. It was the year that CBS revived The Twilight Zone, The Ray Bradbury Theater premiered in syndication, and NBC resurrected Alfred Hitchcock Presents. Meanwhile, The Hitchhiker and Tales from the Darkside were already broadcasting their later seasons on HBO and in local syndication, too. The most ballyhooed anthology of all, however, was Steven Spielberg's Amazing Stories, which aired on Sunday nights at 8:00 pm on NBC, and which was guaranteed for a full two seasons -- a whopping forty-four episodes -- before the first episode even premiered. Each half-hour installment was budgeted at the princely-sum of $800,000 dollars. Amazing Stories, however, didn't quite live up to the hype. In fact, I'll never forget my (bitter) disappointment with the series' first few installments. "Ghost Train" was a special effects-laden variation of an old One Step Beyond story called "Goodbye, Grandpa," only re-made to tug at the heart-strings, and "The Mission" -- a claustrophobic, well-shot World War II story set aboard a damaged bomber -- ended with a fantasy cartoon moment out of left field. The New York Times called the series a "spotty skein of cliches, sentimentality and ordinary hokum." Tom Shales termed the Spielberg program "one of the worst ten shows of all time, in any category...over-cute and over-produced...with primitive premises." And at The New Leader Marvin Kitman coined the series "Appalling Stories." Despite the bad reviews, however, the opening or introductory montage for Amazing Stories remains absolutely stirring. Accompanied by a soaring, triumphant John Williams theme song, the introduction dramatizes -- in a short amount of time -- nothing less than the entire history of storytelling. 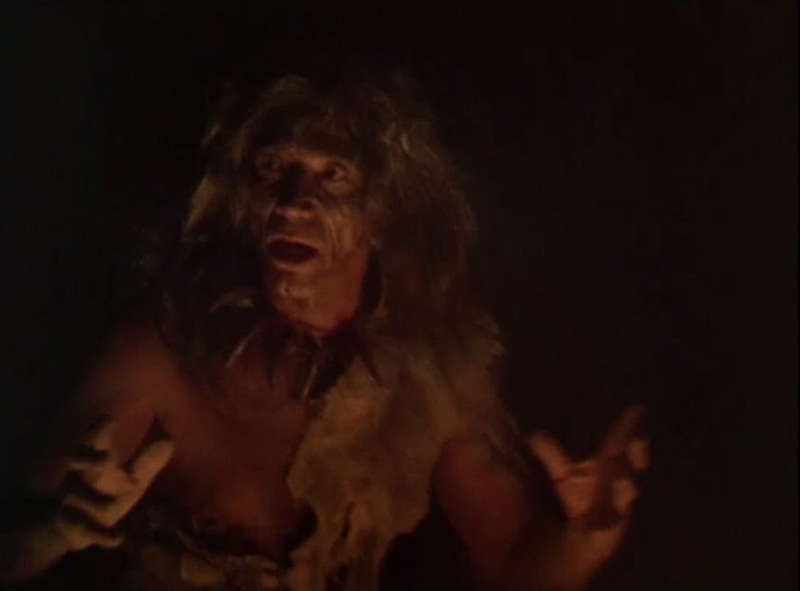 We begin in prehistory, as a caveman family (no, not Korg 70,000 BC...) sits around a blazing campfire, and a grandfatherly tribe leader dramatically tells a remarkable tale, his loved ones at rapt attention. As the camera probes closer, we see, in close-up, the man's passion for his stories. 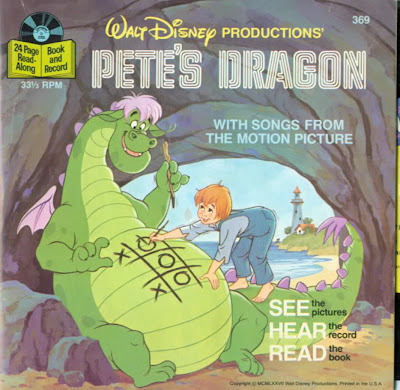 At this point in our development, oral storytelling was the mode of communicating and maintaining a common or shared history. In the next series of images, we move up through the ashes of the tribe's camp-fire, and ascend towards modernity. First, we see an ancient Egyptian construction, a tomb perhaps, and witness a scroll unfurl, with a story inscribed upon it. Next, we move up and forward into the Middle Ages, and a cathedral, where a bound book flies the length of the chamber. The CGI here may look primitive today, but it still gets the job done. The imagery reminds us of the role that the written word, and storytelling, have played in human civilization across the centuries. In this span, words on a page are a way of maintaining history, and sharing favorite tales. Next, the flying book promises stories of horror (represented by a painting of a haunted house) and magic (symbolized by a magician's black hat, and playing cards...). We're not just countenancing run-of-the-mill stories then, the imagery suggests, but amazing, wondrous ones. Next, a book is opened, and on the page an illustration of a knight comes to life, suggesting that stories serve a wonderful purpose: They ignite the imagination. The knight transforms, next, into a spaceship, and so we consider the idea that when we broach the stars in our future, we will continue to tell stories, and take our cherished stories with us. The lights of the city at night become, intriguingly, a circuit-board on a TV or computer, suggesting that in our age, technology -- not the voice of the prehistoric cave leader, or the bound scrolls and books of antiquity -- bring us our favorite tales. Once more, the mode of transmission has been altered, but not man's love of stories and storytelling. The montage ends with that same cave-man from the opening imagery. Only now, we are watching his story on our TV set, an act which completes the tradition and history of human storytelling. The cave man's story, with us since the very beginning, is now transmitted to millions on television, as a middle-class, 20th century family watches. Next our series title forms. Say what you want about the quality of the actual stories depicted on this Steven Spielberg TV series, the introduction remains an inspiration, and a wonderful journey through the history of storytelling. Perhaps the stories themselves felt so lacking, in part, because this introduction (and John Williams theme...) raised expectations to a near impossible level.